The Fairbank Cup has proved once again to be an exciting competition with at least 7 matches being won either 5-3 or 5-4 which proves that the handicaps being allocated looks to be working really well! New champions were crowned this year as previous champions Denham Village B were dispatched by their Village E counterparts in the quarter finals 5-2. The semi-finals were made up of four teams from four different clubs, Chalfont C playing St Joseph’s and Hillingdon C playing Denham Village E. In the first of these semi-finals Chalfont C were too strong beating St Joseph’s 5-1, whilst in the second semi-final Hillingdon C knocked out Denham Village E 5-3. 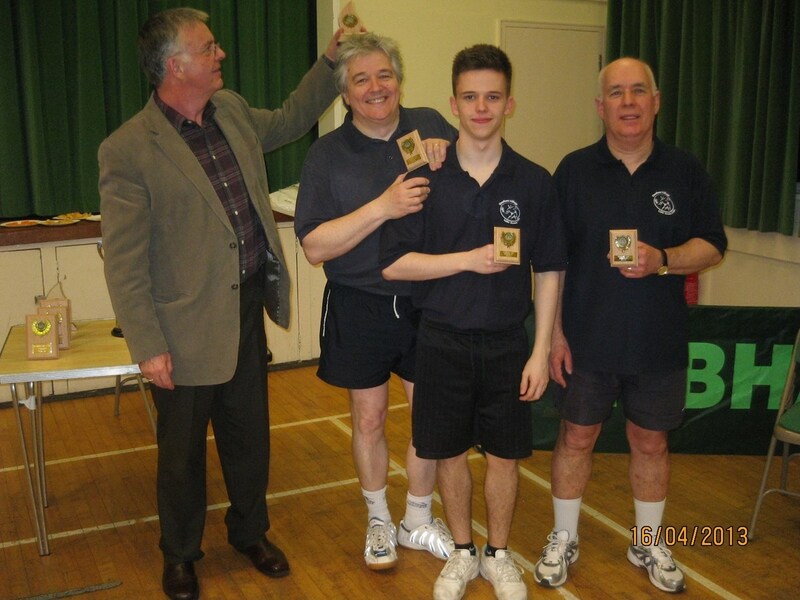 Tuesday evening (18th April) saw the Final of the Chalfont’s and District Table Tennis League Fairbank Cup held this year at the Chalfont Memorial Hall, which proved to be a great venue for watching some great table tennis. Chalfont C raced into a 3-0 lead, but with many of those early matches being really tightly fought affairs, this score line may have been very different. 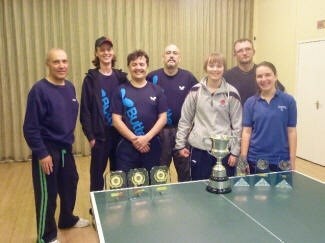 Hillingdon rallied superbly back to 4-3, but were unable to stop Chalfont C lifting the trophy, winning 5-3 in the end. 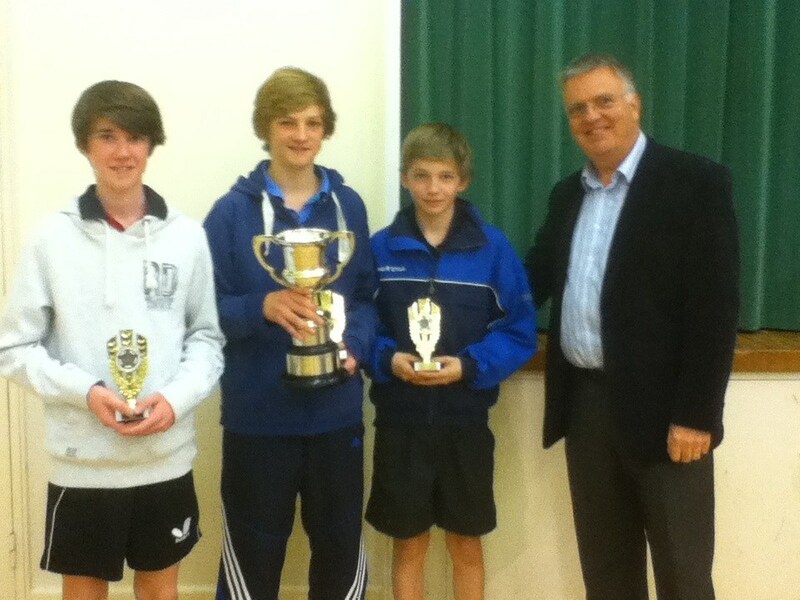 A great night – well done to all the finalists, and congratulations to Chalfont C.
Lastly, thanks to all the team captains for getting the matches played on time, and for those who have assisted me in running the Fairbank Cup this year. The Fairbank Cup proved once again to be an exciting and interesting affair with just three teams unable to compete either due to lack of eligible players or time restrictions. Unfortunately the proposed Plate competition didn't happen due to teams catching up on postponed matches in the cup weeks. 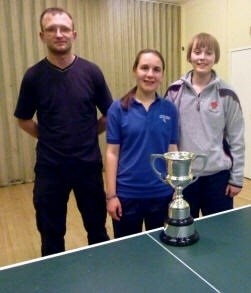 Tuesday evening (15th of March) saw the Final of the Chalfont’s and District Table Tennis League Fairbank Cup. 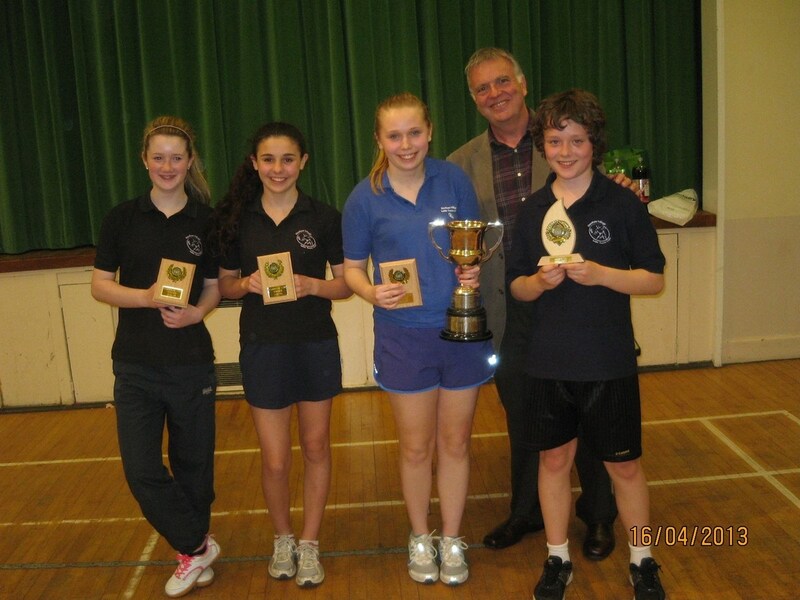 It was an all Denham Village affair with Village B playing Village C. The night produced some outstanding table tennis from both sides and up to the sixth set was level at 3 sets apiece. In the seventh set Steve Buck from Village C was unable to overcome the skill and speed of young Ben Naylor-Smith although Steve was giving away a seven points start. It was then all down to Richard Cottle of Village C to beat Gerry Hawkins to stay in the match but despite one amazing rally Richard finally succumbed and Village B took the honours 5-3. 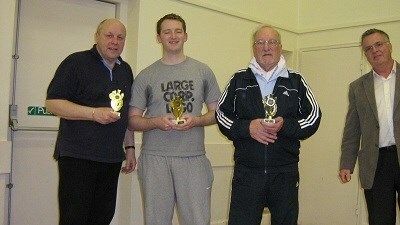 Congratulations to the whole Village B squad of Gerry Hawkins, Ben and Nigel Naylor-Smith, Steve Brown and Ajay Gohil. 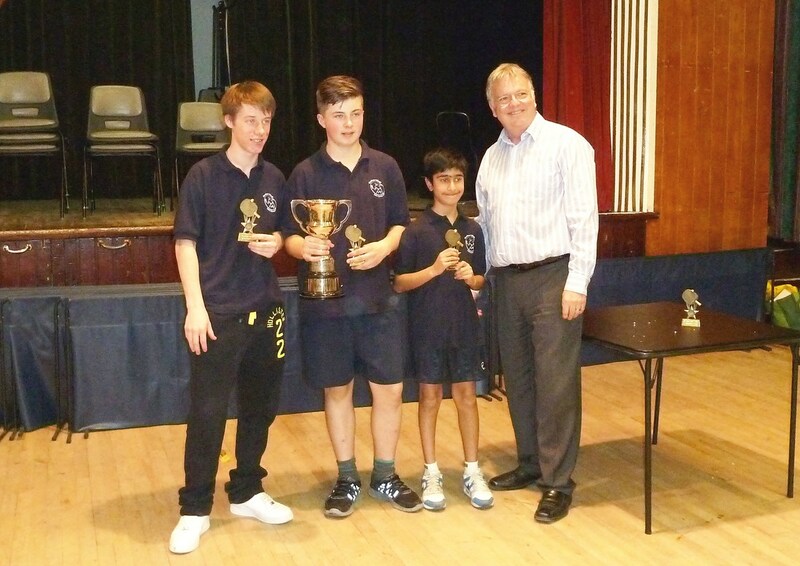 All the results from each round and pictures of both teams competing in the Final are shown in the Fairbank and Closed Championships Results page. I would finally like to thank James Johnson and Derek Hughes for their valuable assistance with the thankless task of setting the handicaps with the often limited information on player’s current performances. The Fairbank Plate will not happen this year after all. We received several comments stating teams would rather catch up on postponed matches. Two teams have stated they don't wish to participate for the above reason so we're going to cancel the plate for this season. It has been decided that a plate competition be run with the same rules as the Fairbank cup in parallel with the cup proper. Teams eligible will be those that have been knocked out of the cup at their first played match but not teams that have excluded themselves from the main competition. Fixtures will be displayed on this website before the third round of the cup proper. Matches to be played on the week commencing 22nd February. All eligible teams will be entered automatically unless the organisers hear otherwise. 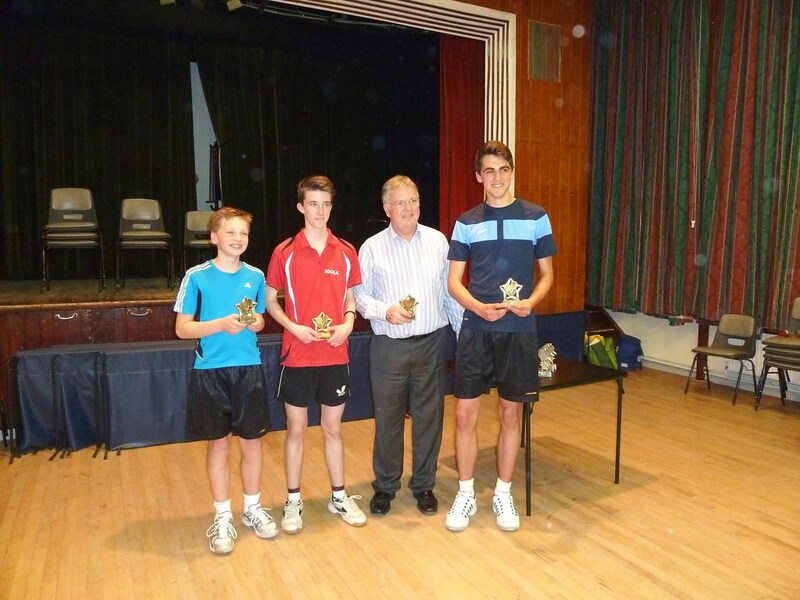 Chalfont TTC's new venue at Chalfont St. Peter, the CSP Parish Church Hall in Church Lane, hosted this year's Fairbank Cup final on 31st March. Despite several announcements, albeit at short notice, it was disappointing not to see more spectators in attendance. 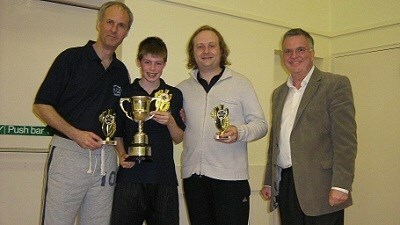 Both teams hailed from the Denham Village Club. Village F of the second division represented by Shaun Bausor, David Cottle and Carys Evans faced Village B of the first division represented by Steve Brown, Simon Barnes and Ben Naylor-Smith. 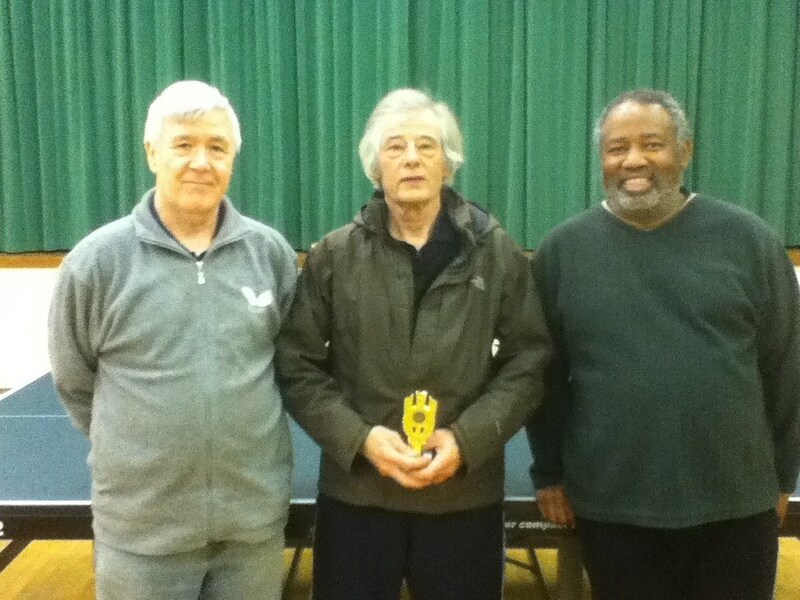 The final score of 5-1 to the B team did not truly reflect the closeness of this contest as 3 of the sets went to the final game, the only players emerging unscathed being Ben-Naylor Smith and Steve Brown.